26% of women report feeling exhausted and overworked – many report working over 50-60 hours per week, and don’t take all of their vacation time. Women often don’t want to say ‘No’ because they don’t want to be labeled as “not a team player” or they don’t want to miss out on career-advancing opportunities. But when you take on too much at once, deadlines get missed, work falls behind and you can’t wow and amaze on those exciting projects you’ve taken on. This is where the strategy comes into play. It’s not just about how to say no – but when to say no. And armed with this strategy, you can turn the power of no into a leadership tool. Frame Your No – effective communication is key: The way you say no is just as important to deciding whether or not to pursue an opportunity. Changing the language you use drastically affects how the ‘no’ is perceived. The Master “Power of No” Flowchart – Packed full of real-world scenarios, this easy-to-follow tool will help you determine when and how to say no. Establishing Boundaries – How can you defend against the barrage of requests, appointments and deadlines? It all starts with having the defenses in place. Setting Limits – That positive, “can-do” attitude is essential to success, but no one can do it all. Practical Solutions to Real World Situations – Use our proven case scenarios to troubleshoot saying no in situations you might face in everyday business. With this Leadership Handbook in hand, saying no will go from a career roadblock to a leadership advantage. 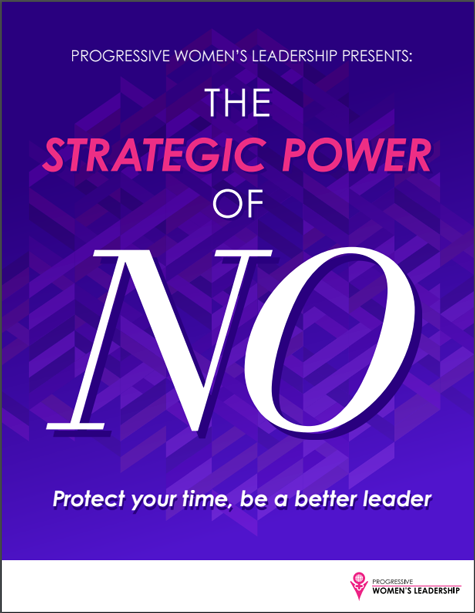 Don’t fear saying no or feel stretched too thin again – discover the power of no and become the leader you’re meant to be.